Syria’s Foreign Ministry has called for the countries of the international anti-Islamic State (ISIS) coalition to be held accountable for crimes committed against Syrian civilians, hospitals, schools and other facilities under the pretext of fighting terrorism. In two letters addressed to the United Nations secretary-general and the Security Council chairman, the ministry renewed its call for the dissolution of the U.S.-led coalition on claims its forces have destroyed infrastructure and targeted countries which combat terrorism. The ministry also called on the U.N. to hold coalition members accountable for civilian deaths and the destruction of infrastructure. It added that the illegitimate coalition has admitted to striking Syrian army positions, as well as killing and injuring thousands of Syrians including women, children and the elderly. 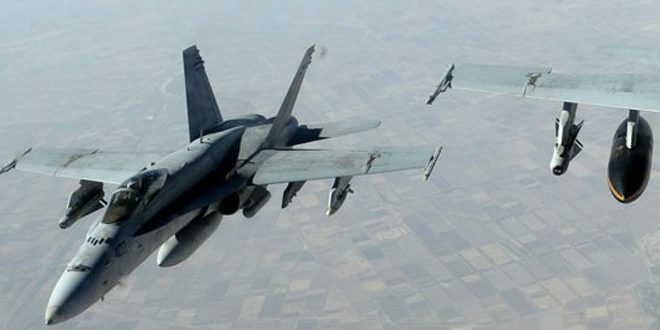 On Aug. 1, the international coalition's warplanes bombarded residential neighborhoods in several villages in the province of Deir-ez-Zor, causing the death of more than 60 civilians and injuring dozens more. It added that the attack took place less than 48 hours after the shelling of the Aysha Hospital and residential neighborhoods in the city of Abou Kamal, killing six citizens and wounding 10 others.